David is a graduate of The Culinary Institute of America with his Bachelors Degree in Business Management. A Chicago native, David discovered his passion for cooking at the age of 14 at his vocational high school. With help from his culinary instructor, who is also a CIA graduate, and through a series of cooking competitions, David attended the CIA with a full scholarship through the CCAP program. 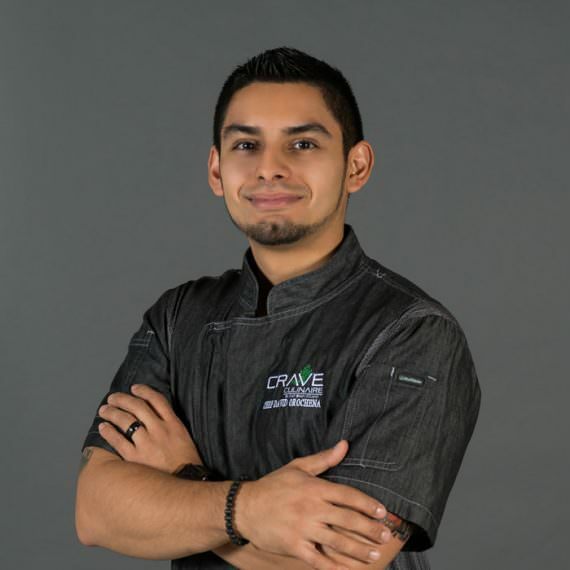 Since graduating culinary school, David has worked in Chicago, New York, and now Florida. When not at work, David spends time with his wife, Katie, with whom he attended culinary school with and has been working with for the past 5 years. They like to spend time spoiling their two dogs, Taz and Bella. David also likes to do home improvement projects, experiment with food and beer, and explore new places.